Cortec’s recyclable VpCI® plastic sheeting and bags come in many sizes and formats—from small top-seal bags that protect nuts and bolts, to 30 foot (9.1 m) wide heavy duty sheeting for storing giant industrial equipment outdoors. Cortec’s versatile range of VpCI® coated papers offer recyclable and fully-repulpable corrosion protection options in widths nearing 100 inches (2.5 m) for single item packaging, parts interleaving, and more! Cortec’s VpCI® emitters provide an extra dose of Vapor phase Corrosion Inhibitors for small or large packages needing additional protection against corrosion during shipping or storage. Cortec’s specialty products include unique packaging items that incorporate Vapor phase Corrosion Inhibitors into protective fabric, corrugated boxes, laminated barrier foil, pipe caps, woven polypropylene, and more for customized protection! 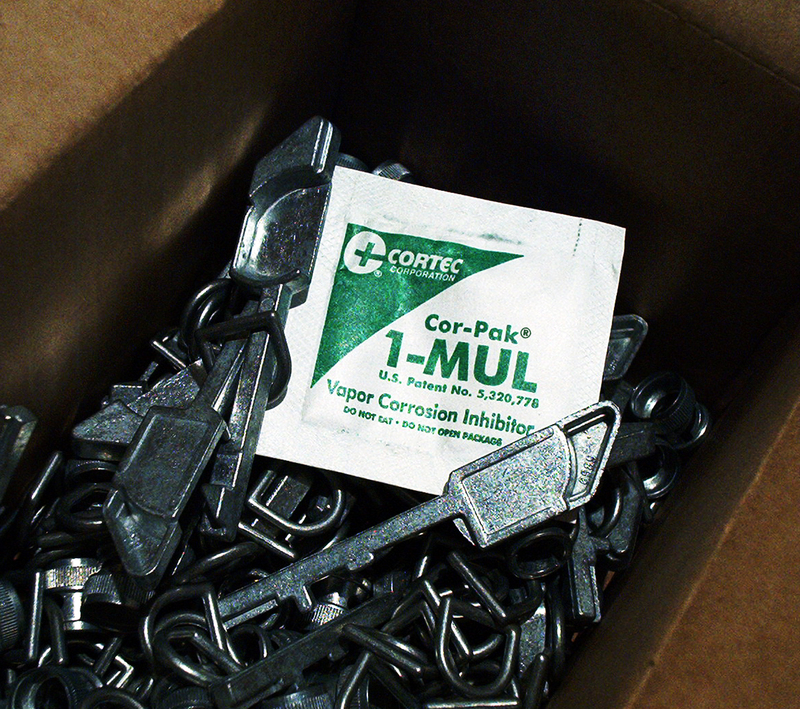 Cortec® VpCI® packaging provides a time tested toolbox of corrosion solutions that have been used in countless industries. 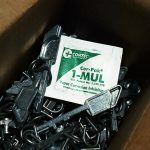 These tools are practical, easy to use, and reduce the need for applying hazardous and cumbersome rust preventatives. Cortec® helps you select the right “tool” for the job and then simplifies the disposal of the “tools” with many recyclable, environmentally friendly options. Click here to browse the Cortec® toolbox of packaging solutions, or contact us for an individualized solution! How Does Cortec® VpCI® Technology Work in Packaging Applications? 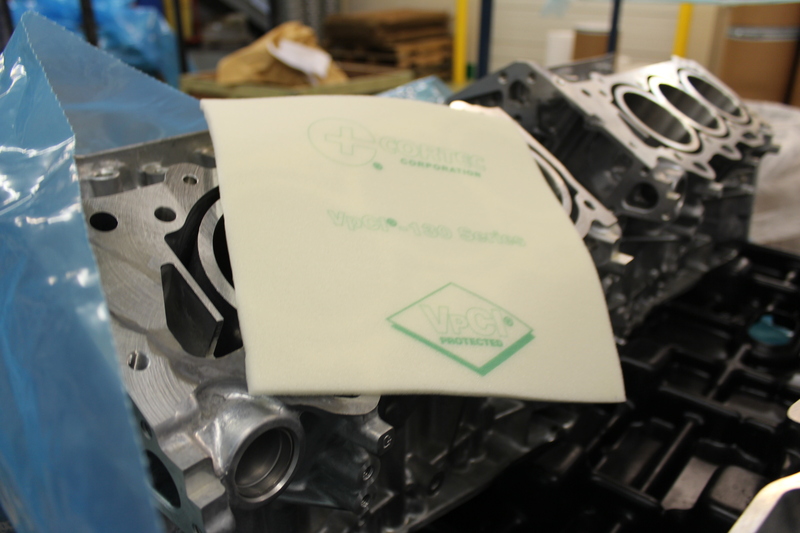 The success of Cortec® VpCI® packaging lies in its environmentally friendly Vapor phase Corrosion Inhibitor Technology. 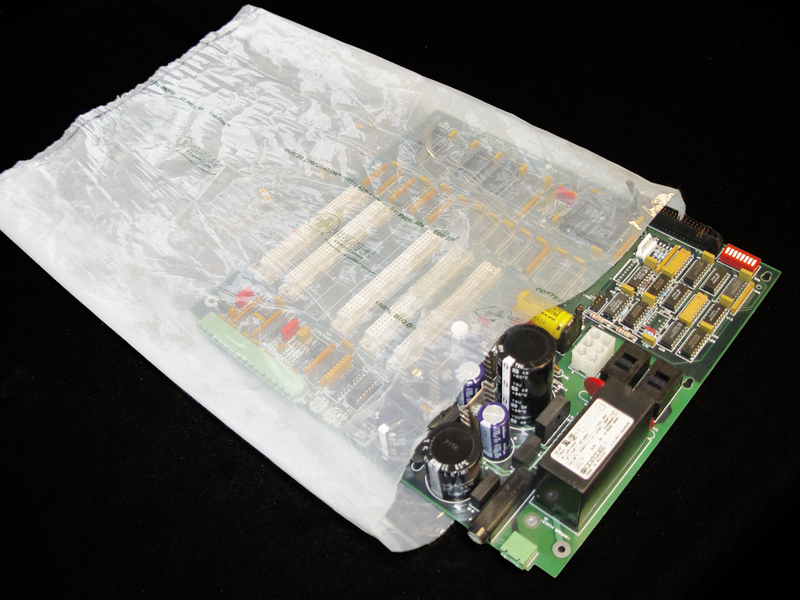 This technology creates a protective environment inside each VpCI® package. Application is easy, typically with little or no surface preparation needed. 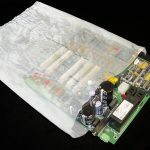 Special Vapor phase Corrosion Inhibitors embedded in VpCI® packaging travel through the air to form an invisible protective shield on all accessible metal surfaces inside the enclosed package. 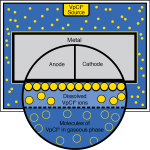 This VpCI® shield does not alter metal properties. Instead, it blocks the ability of oxygen, moisture, and other corrosive elements to attack the metal surface and make it rust. 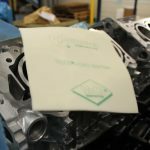 After the metal part is taken out of the package, the VpCI® molecules float away, and the metal components, machinery, or products are ready for immediate use, no cleaning or degreasing required. Cortec’s widespread network of licensees, distributors, manufacturer’s representatives, and field offices operates in over 100 countries on seven continents around the globe, providing faster and easier access to Cortec® solutions wherever you find yourself. In addition, Cortec’s Global Services division is ready to deliver onsite preservation and training support based on years of experience in near and far reaches of the world.